Ricardo D. Thomas is a graduate of Loyola University where he earned a Bachelors of Business Administration degree in Finance. He is a Registered Financial Consultant and Chartered Federal Employee Benefit Consultant. He has been a practicing financial consultant for over 33 years. He is a former instructor at Delgado Community College where he taught for 10 years several financial-related courses he developed. He also taught at the University of New Orleans as a part of their Project Pass program. His work in the area of personal finance has been featured in the Times-Picayune, New Orleans CityBusiness, New Orleans Tribune, Barnes & Noble bookstore as well as other publications across the country. Mr. Thomas is also a member of several professional organizations including the International Association of Registered Financial Consultants. 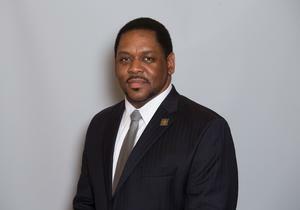 Active in the community, he is a board member for Goodwill Industries of Southeastern Louisiana and the Urban League of Louisiana.